Do you ever wonder “Whatever happened to the artists who took part in Eurovision?” Well here at ESCBubble we follow their careers for you and bring you a weekly round up of those former entrants and others who didn’t quite make it out of their National Finals. Plus you asked we listened, so new to the article from this week you’ll get both Spotify AND Apple Music links for each song. Although our overall playlist will still be maintained in Spotify (because it’s free and we like free stuff! ), we’ll also add a link to the song in Apple Music for you to add to your own playlists if you use that platform. It’s been an amazing year for Aitana Oceana. 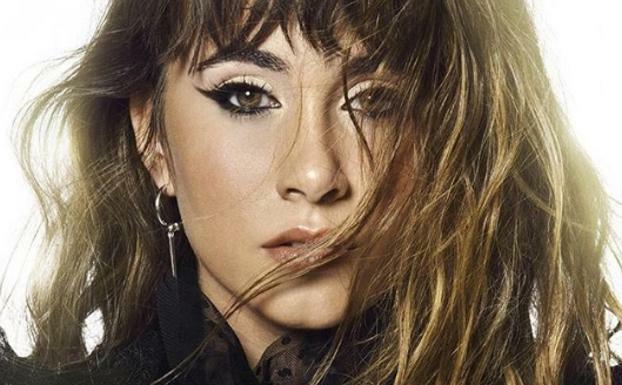 The runner up in Operación Triunfo, the format Spain used to decide it’s Eurovision entrant, Aitana has dominated Spanish radio all year. ‘Lo Malo’ with Ana Guerra from the Eurovision Gala was a huge number 1 smash on the Spanish charts going 4 times platinum. Her July follow up ‘Telefono’ also hit number 1 and showed she was going to the one of the stars of 2018. It’s been a year since we’ve heard anything from the Belgian 2015 Eurovision entrant, and it’s coming up to 2 years since the release of his debut album ‘Selfocracy’. Following his 4th place finish with ‘Rhythm Inside’ the success of ‘Selfocracy’ has proved Loic Nottet would continue to flourish as an artist, and therefore we’re not shocked at all to find ourselves in awe again at his comeback single – ‘On Fire’. It’s very typical Loic and he’s added his twist to the song by releasing an awesome accompanying Instagram graphic novel, which you can find here. Another Belgian Eurovision artist who has kept us waiting a year for new music is Laura Tesoro. She followed up Loic Nottet ably in 2016 and landed Belgium another impressive top 10 finish. A former runner up on the Flanders version of The Voice, she’s had several top 40 hits on the Belgian charts following her rise to fame. It wouldn’t be right if we didn’t bring you Christmas cheer now it’s December, and it’s two time Melodifestivalen act Lisa Ajax who is hoping for a ‘Terribly Good Xmas’. Lisa of course has already been announced as part of the 2019 Melfest line up with the song ‘Torn’, which we know is a ballad written by herself and Isa Molin. Can she reach the final for the third time? Let us know your favourite song of the week via our social media channels and we’ll see you next week!